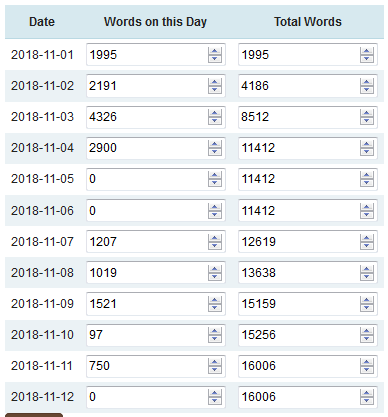 Day 11: I wrote 750 words on the NANO book (but 724 words for all my fiction). Yes, I had a negative word count for the book I’m trying to finish and that brought down my total word count for the day. And I’m behind on NANO pretty significantly now.